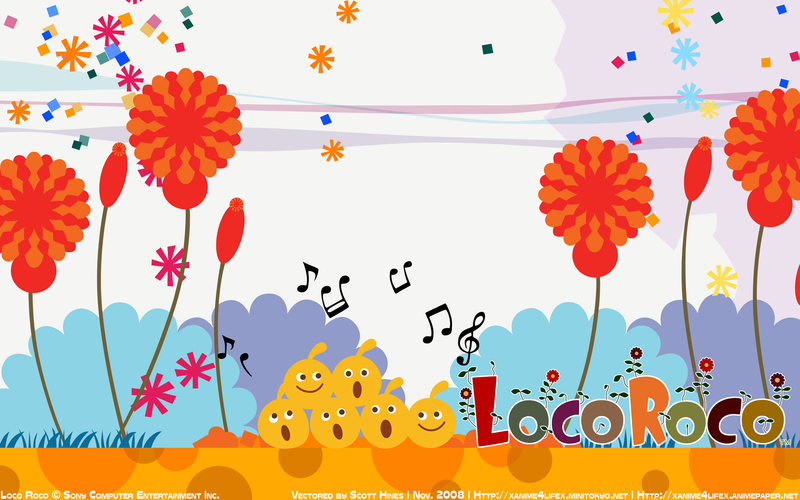 LocoRoco Wallpaper: Are You Loco? Minitokyo »	LocoRoco Wallpapers » LocoRoco Wallpaper: Are You Loco? Loco Roco! I saw another Loco Roco wallpaper and remembered how much fun the game was, so I played it... and was inspired to make a wallpaper also. So here is my Loco Roco wallpaper. I downloaded this original picture and vectored it. 2560 x 1600 available at AP. ahahahahaaaaa, damn, it's so cuteh! Saw that on AP, commented and faved it there so I will do here too. Thanks for another LocoRoco wall. Wonderful work, vector is very clean and smooth. Great scenery. can't wait to get the 2nd game! excellent job! to my favs ^^! AHHH, Loco Roco! The first game was awesome, I can't wait for the North American release of the second game! ;] Awesome wallpaper too!